Fuze Group inc - A Creative Agency produces brand content and design in the form of graphics, websites, video, photography and copy writing. Clients include Billabong, Santa Catalina Island, Cholula, Sierra Nevada Brewery, Capitol Studios, John Lefebvre... Our work speaks for itself, please contact us for references or specific examples of creative or content that fits your project needs. 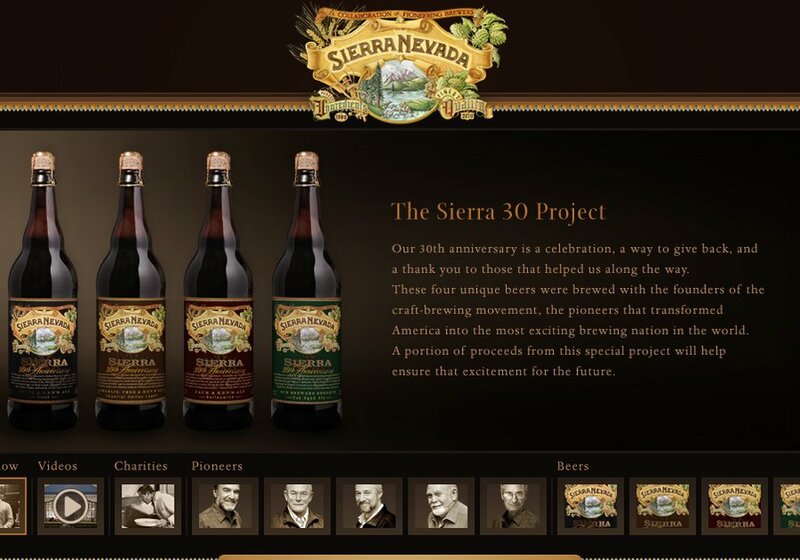 Sierra Nevada 30th anniversary website, The Sierra 30 Project.